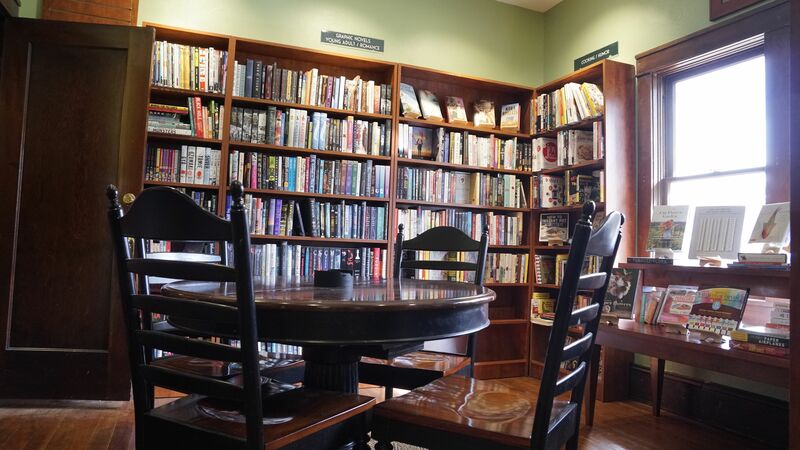 ST. GEORGE — Southern Utah has a new bookstore in downtown St. George, with ambitions to become the literary soul of the community offering art, author discussions and events. The Book Bungalow, the newest shop in Green Gate Village, opened its doors to the public on Sept. 26, and a grand opening is to be held Friday. Bookstore owner Tanya Parker Mills said the grand opening will include a Chamber of Commerce ribbon-cutting ceremony, ice cream, plenty of giveaway prizes and a puppet show for the kids. Later that evening at 7 p.m., local bestselling author David Farland will talk about his books and autograph copies. On Saturday at 4 p.m., middle-grade author Elaine Vickers will also be in the store to discuss and autograph her books. Customers can also shop online at thebookbungalow.com for both books and audiobooks. The website also has an event calendar. “There’s something wrong when you have a metro area that is the fastest growing in the nation, a prime tourist destination, and yet you don’t have a local independent bookstore that offers events,” Mills said in a press release for the grand opening. 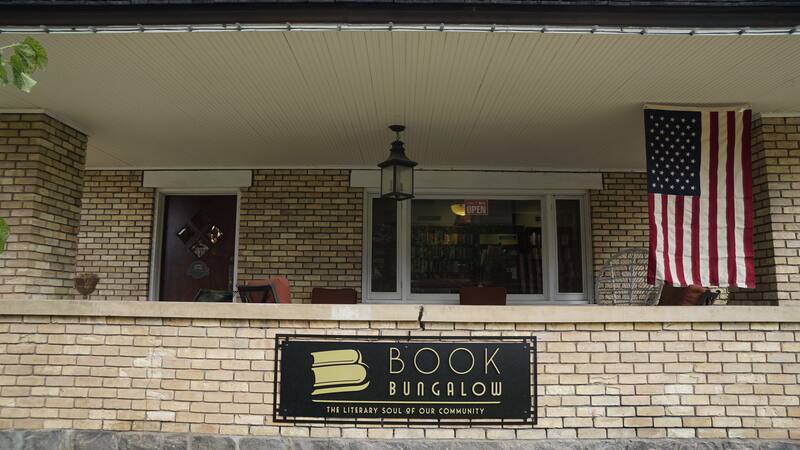 At the corner of Tabernacle Street and 100 West, The Book Bungalow occupies the front portion of the old Judd Bungalow, a historic home built in 1917. “We’ve kept it pretty much the way it’s always been, other than removing a few doors to provide easier access for customers,” Mills said in the release. The building is constructed in an early Frank Lloyd Wright prairie school style, with built-in wood cabinets and shelves. 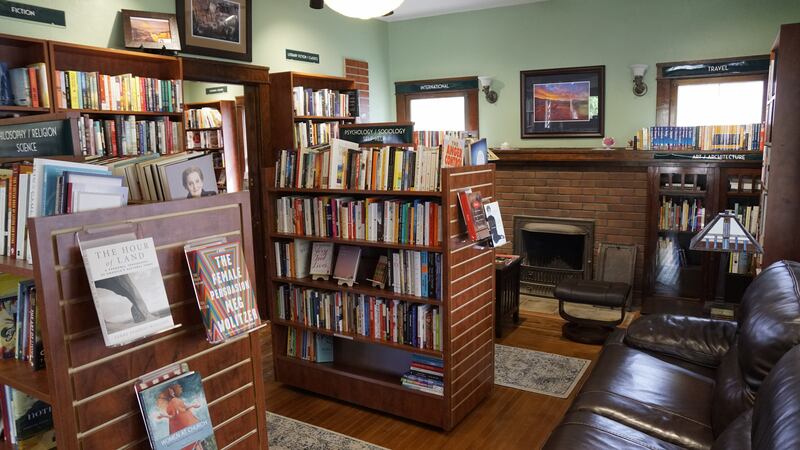 Open Monday to Saturday from 10 a.m. to 6 p.m., the store offers all kinds of fiction, poetry, biography, history, nonfiction, cooking and arts and crafts, Mills said. There is also a special section of books on “influential women,” as well as another section featuring international fiction and nonfiction. The store will also offer gifts, toys, games, cards and locally made crafts. It will also display and sell paintings and photography by local artists. One of the real draws is the Children’s Room full of books, toys, puzzles, games and puppets for every age up through middle school. Kids and parents alike can attend story time on Tuesdays at 10:30 a.m., which is sometimes held inside and sometimes outside. Beyond books and gifts, The Book Bungalow offers a haven from screen time and a much-needed respite, Mills said. She hopes the store will be a gathering place for book lovers from all over Southern Utah to mingle and learn. As an author herself, Mills said she aimed to create a bookstore environment that would attract both readers and writers. Besides author appearances and signings, the store has a “writer’s cabinet” full of books about writing and famous authors, as well as writers tools. It will also offer a bi-monthly, two-hour writer’s workshop on Saturdays, led by visiting authors for aspiring writers of all ages and levels. The calendar is already filling up with game nights, TED Talks, book clubs, music nights, poetry nights, open mic nights, author appearances and school visits. I hope this business becomes a huge success! Way back in the late 90’s, I went in to another local book store, The Little Professor. I was met just inside the door by an employee. This was an older woman with a glower on her face, who demanded to know what I wanted. I told her I was not sure and wanted to browse a little. This old gal followed me around the store, her hands on her hips, a horrible look on her face and watched me like I was going to either vandalize the place, or steal something. I left that store in disgust, and never went back. I’m an avid reader, with a large, and growing library at home. I took my business elsewhere. I’m betting this new store will treat their customers as customers should be treated!